I hope everyone had a wonderful holiday break! 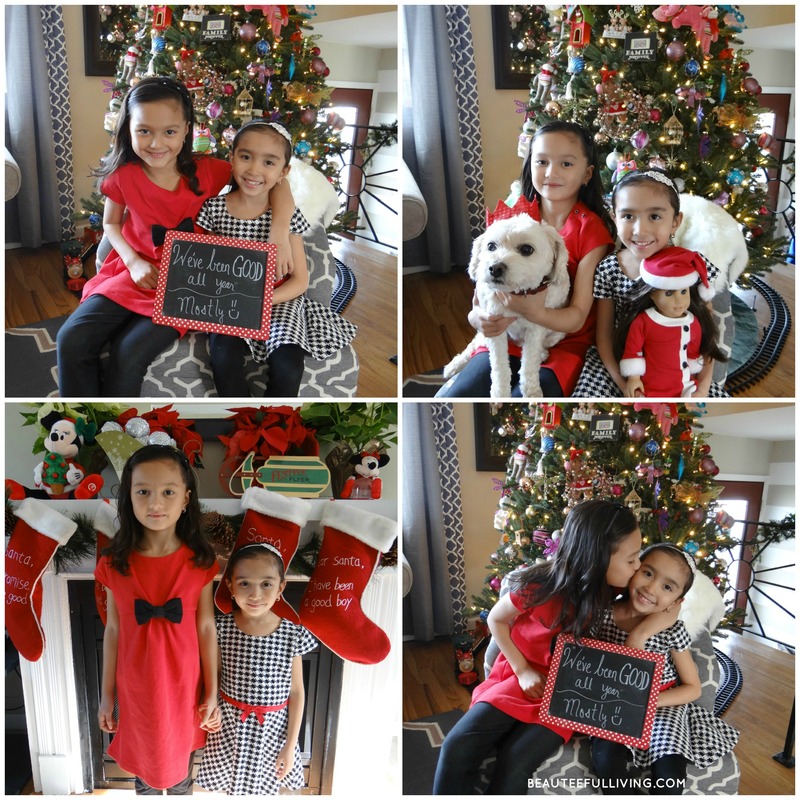 In today’s post, I thought I’d share some of my favorite photos from the holidays. With all the decor and DIY-related posts I’ve done recently, I feel it’s time I shared some photos that aren’t project-related. 🙂 I hope you enjoy them. 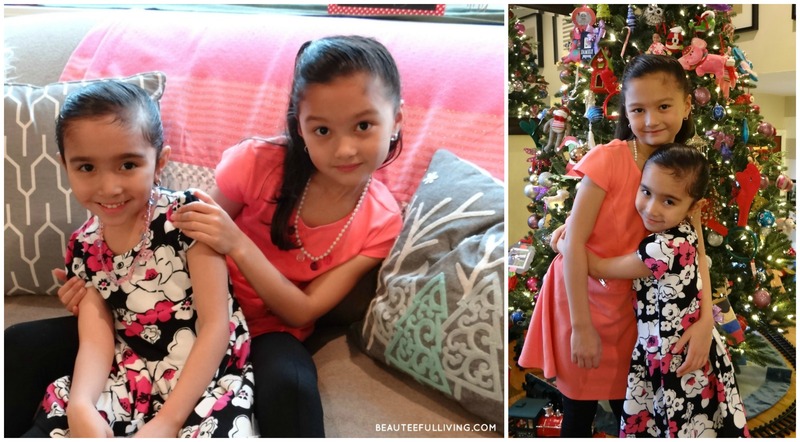 Here are the 4 photos that made it to our 2015 holiday card. We have a tradition of taking photos of the kids in our home. You can read about our photo shoot tradition here. 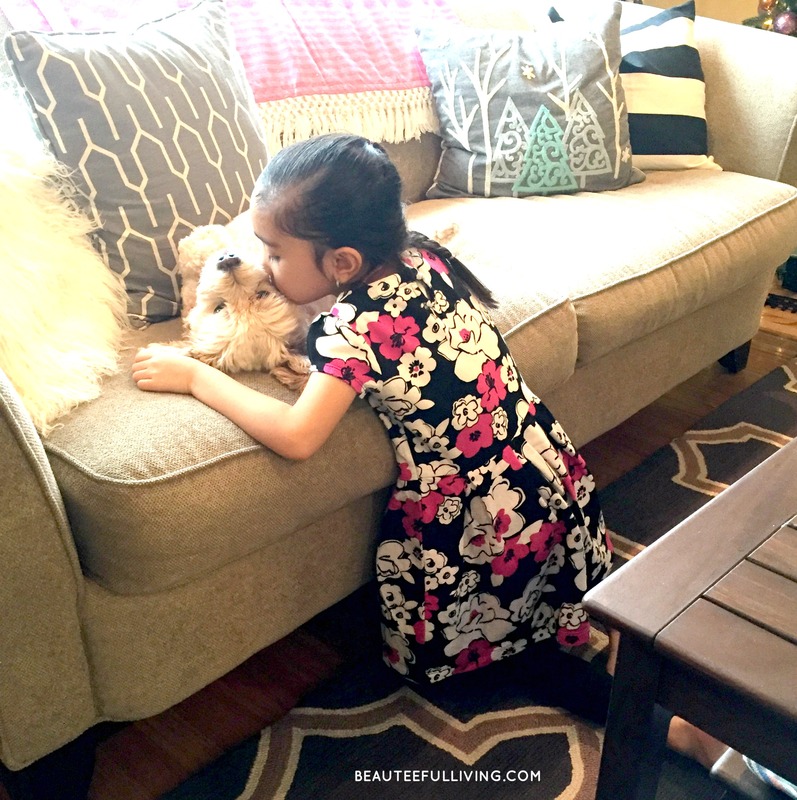 Seeing how sweet the kids looked and the joy in their faces made it a little easier that our sweet Lola was notably missing. Regular readers may recall that our boxer passed away last September. You can catch my tribute post here. It was so unseasonably WARM this past Christmas. So glad I had the girls wear dresses with short sleeves. Being the only dog in the house has its perks. Roxie is certainly enjoying all the extra love and attention. I have to tell you…I’m a little obsessed with the paella that my husband makes. It’s d-e-l-i-c-i-o-u-s! 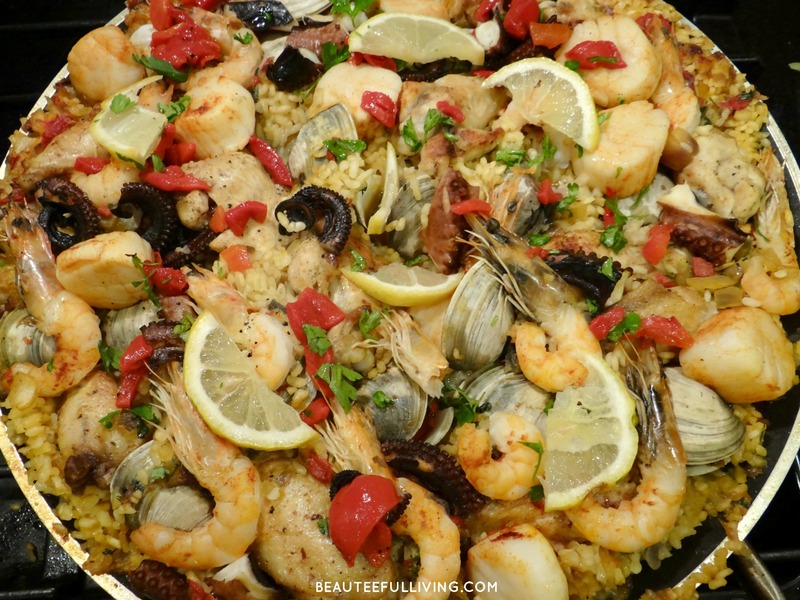 He made this paella dish for Christmas eve and it tastes as good as it looks. This is a dish native to Spain and is often served as tapas in bars. The roasted tomato aioli sauce is a must for this dish. 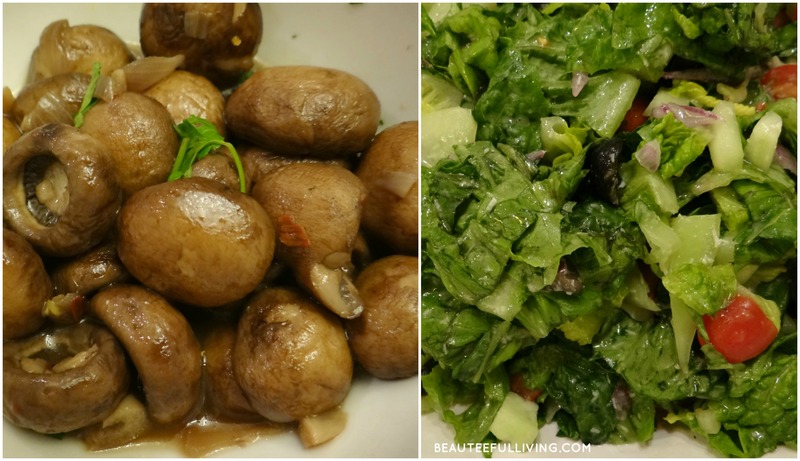 Nothing like mushrooms and a refreshing salad to balance out all the carbs from the paella dish. What were some of your favorite photos or memories created from the recent holiday break? I’d love to hear about them. XO, Tee. Great family! (I also love the photos of the food — you got me drooling haha) Though it’s a late greeting, happy holidays to you and your family! Cute photos. Love the little dresses (and the wrapping paper omg!) Hope you have a fantastic 2016! What fun pictures of your holiday! Your daughters are so cute! 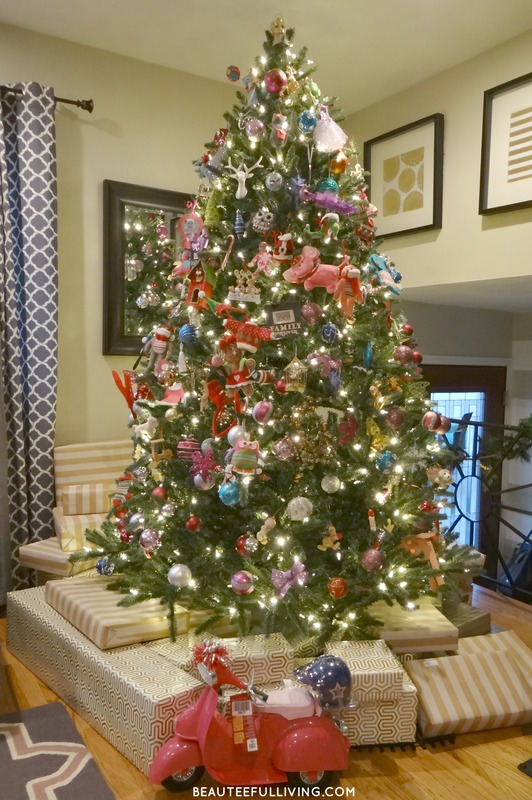 I also love your Christmas tree and am obsessed with your wrapping paper. What fun prints. I looked for cute gold but never found anything this cute! Beautiful family! This paella looks amazing. I’ve never made it before so I’ll have try to one day. Those are beautiful photos of your girls and you! What a great way to keep family memories and keepsake for them to cherish as they grow older. Your Christmas decor looks beautiful and I love the pictures of your dishes. Aww looks like you had a wonderful Holiday season! The holidays are all about the memories and it looks like your family made a ton this year! Happy new Year! Wow, it looks like you had such an absolutely wonderful Christmas. Love everything from your decor to your adorable kiddos…and the most delicious part…the food! 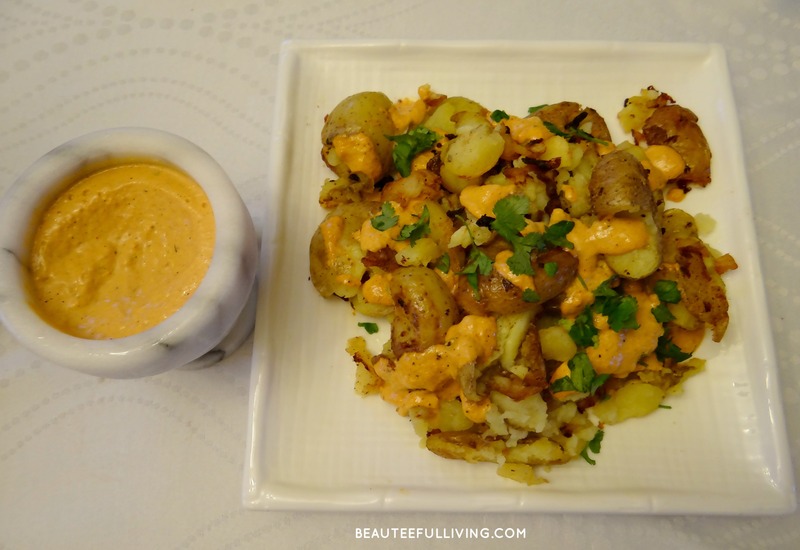 That potatoes bravas dish looks amazing…it is probably similar to my favorite tapas dish from a local cafe here in Chicago. Happy New Year! 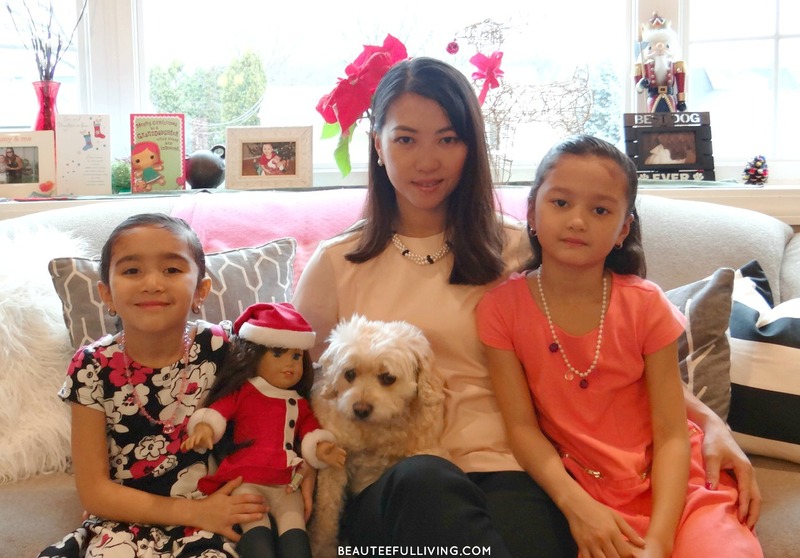 These are such cute family photos for the holidays! It is so hard to believe how weird the weather has been this year in different parts of the United States. Happy New Year to you and your family! Your girls are sooo cute! It is hard to get my kids to sit still, you make it look effortless! I love your Christmas tree took, gorgeous! I love all your family photos! You have a beautiful family and you did a great job with your holiday decorations! Thanks so much for your sweet comment, Linda. I hope you had a wonderful holiday break!